We attended the four day Advanced Camelidynamics Clinic held at Marty McGee Bennett’s home in Bend, Washington. 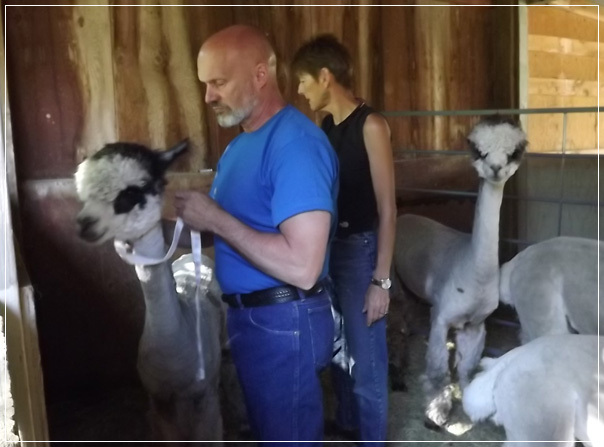 Andy is helping Marty give one of her beautiful alpacas a shot. We have chosen to follow the teachings of Marty McGee Bennett and Camelidynamics. 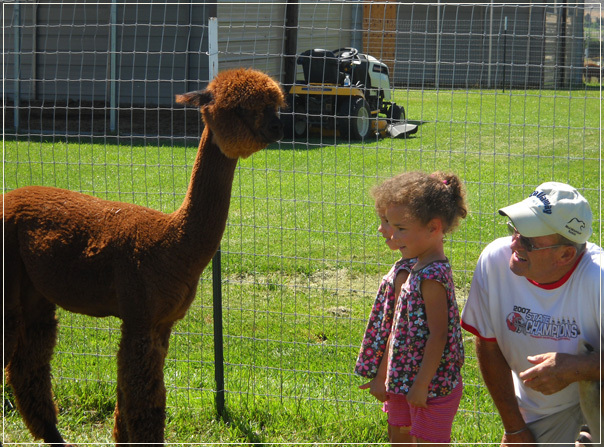 She was recommended to us by several people who already own alpacas and have been to one or more of her clinics. Take a look at her website www.camelidynamics.com. Attend one of her clinics and you too will be hooked. Camelid people know that no matter how much experience you have there is always more to learn. Marty is an excellent instructor training the two legged animals to take care of their four legged animals.